Our program provides continuous learning experiences. It will always be flexible to meet the needs of the individual as well as the group. and encourage and increase children's curiosity. activities, feeding and diaper changes. muscle development, and early readiness activities. Children are introduced to “circle time” where they sing songs, listen to stories and learn basic lessons including letters, numbers and weather. The Toddlers also enjoy Music with our independent Music Teacher weekly. The Toddler staff will work with the parents on potty training. A daily log is provided. Our Pre-School Three Year Old Class provides age-appropriate learning experiences in the areas of reading and math readiness, songs, finger plays and stories, as well as activities that promote fine and gross motor development. In addition to “circle time”, students enjoy our Specials Program. The staff works diligently to promote self-esteem while encouraging their growth in the development of social skills and cognitive development. Our Kindergarten Readiness Class for 4-5 year olds focuses on the ongoing preparation for Kindergarten. The classroom teachers focus on building self-esteem, offer problem-solving strategies, while encouraging social and cognitive development. This class provides age-appropriate reading and math radiness activities, as well as uses the Handwriting Without Tears Curriculum. These students also enjoy our Specials Program. Our School Age Child Care (SACC) Program is for students in Kindergarten through 6th grade. After a snack period, the children are encouraged to complete their homework. 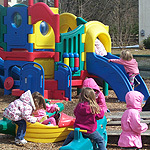 We provide friends for play, games, puzzles, arts & crafts and computers. Weather permitting, time is spent enjoying our large playground. These children may attend our program full day on those days when the Glen Rock schools are not in session. Before School hours are included in the SACC registration at no extra cost. Our Before School Program is available for those students attending Central School in Glen Rock. Breakfast is provided between the hours of 7:00AM and 8:00AM. Our Specials Program is provided for our Pre-School, Kindergarten Rediness and Transitional Kindergarten Students. The program consists of weekly Computer Lab, Spanish, Library Reading Time, Kids in Motion and Music with an idependent Music Teacher, as well as monthly hands-on Science activities. The Specials Teacher integrates Computers, Library and Science with the curriculum in each class. Our Spanish Program is provided weekly to Pre-School, Kindergarten Readiness and Transitional Kindergarten Classes. This is a basic, age-appropriate Spanish language curriculum encompassing colors, numbers, phrases, etc. and is expanded upon and flexible as the school year progresses. 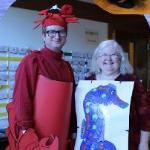 Kindergarten Classes by an independent Music Teacher. Songs follow seasonal, monthly and holiday themes. The music study culminates in a joint final production at the end of the school year. Our Computer Program is offered weekly to Pre-School, Kindergarten Readiness and Transitional Kindergarten Classes in our Computer Lab. 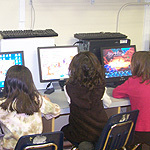 Students can choose from a variety of age-appropriate software and work at individual computer stations. Our Kids in Motion Program is offered weekly to Pre-School, Kindergarten Readiness and Transitional Kindergarten Classes. We encompass games, dance, exercise, etc. encourage the importance and fun of physical activities. Our Summer Program is theme based and offers a variety of arts/crafts, games, stories, sand and water activies, outdoor activities as well as occasional field trips. Our Summer Camp Program is for students in grades 1-5. It is a 10 week camp with lots of indoor/outdoor activities in our air-conditioned facility and playground. Sessions will run weekdays only. You may register weekly, 2 to 5 days/week, half, 3/4 or full days. It includes arts & crafts, sports, games, science experiments, cooking and music. We provide lunches and snacks which are included in the tuition. 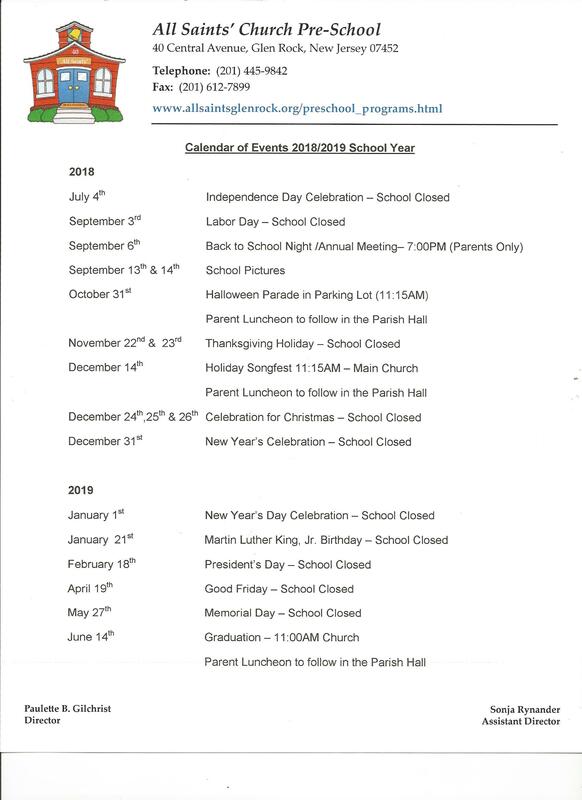 Contact our school for more specific information. (201) 445-9842 or email us at paulette@allsaintsglenrock.org.